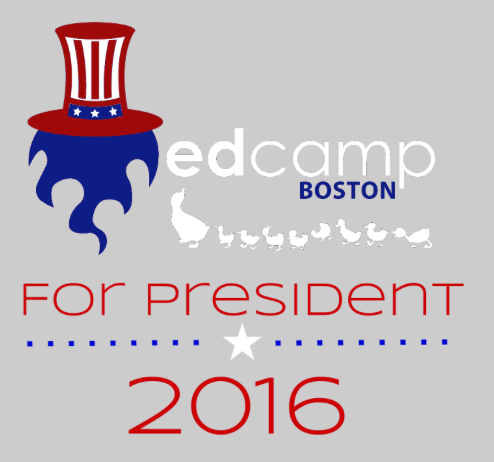 Everything you need to know for Edcamp Boston 2016! Here’s the schedule for the day! Strap in for a long post, or skip to the end if you know how this Edcamp thing works and just want the quick version of what you should bring with you. Edcamp is happening THIS SATURDAY on March 5, 2015. Registration will start at 8:30. We’ll start kickoff at 9:00 and schedule building will follow. First sessions start at 9:30. We’ll have lunch at some point, and wrap up with a shared debrief that should finish around 4:00. Here are some helpful directions to help you get to and find parking at Microsoft’s offices at 1 Cambridge Center. Please note that we’re NOT at the NERD! One Cambridge Center is accessible via the MBTA Red Line at the Kendall Square/MIT stop (between the Charles Street and Central Square stops). The Red Line links up with other lines providing access to virtually the entire Greater Boston region, including Logan Airport. Please follow the Microsoft signs to our main entrance in the front of our building. Please note that parking onsite is a bit pricy at $40, so we strongly encourage taking the T or carpooling! Apparently, there’s some construction here, so parking will be limited. You can park over at the NERD, Or you can park here for only 10! It’s a little further to walk, but way cheaper! The entrance you’ll use to get into the building is directly off of Main Street at the corner with Broadway. Please bring a water bottle! Microsoft has excellent water filtration systems that you’ll be able to use to fill up your water bottles at no cost to us, you, or the environment! We’re not providing any bottled water! We will have some soda available at lunchtime. We’re going crazy this year and having pizza and salad for lunch from Kendall House of Pizza. There will be vegan options, for those so inclined. As always, all of the food is paid for thanks to our wonderful sponsors. 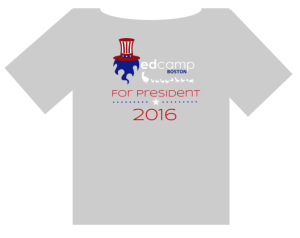 If you were smart enough to prepurchase an Edcamp Boston tshirt with your registration, you’ll get one, too! A good Edcamp session should involve the people in the room as much as possible. We’re all called participants for a reason! Don’t stand in front of the room and lecture at people or give a presentation from a slide deck. Have a real conversation. Invite questions and responses from everybody in the room. Do something hands-on. The job of the Host is to ask the first question and move the conversation along. Totally low-pressure. We’ve been very fortunate at Edcamp Boston to have some of the best Edcamp Schedules for several years running. We don’t have a bunch of sessions about sharing tools, but instead feature rich discussions about the things people are actually doing in their classrooms. This is our fifth Edcamp Boston, and we look forward to all of you creating something even more amazing. Psyched! So looking forward to being with other learners in the pursuit of energizing learning!